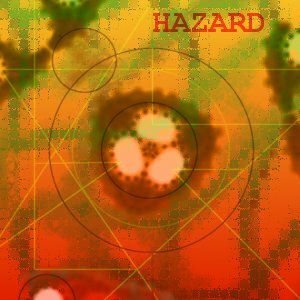 virus, hazard, psp, paint, fabrication, canvas, biohazard. I'd just got a new computer running, my mini-iTX infact, I'd installed Paint Shop Pro, I had nothnig to do, I drew this. A biozard warning type thing, with a closeup of some kind of virus/bacteria. Completely fabricated from PSP's drawing tools from a blank canvas.